Scientists have proposed a framework for a new “Green List of species” that outlines a standard way of measuring species recovery and conservation success. The framework starts by defining what a “fully recovered species” looks like, then lays down four metrics that quantify the importance of conservation efforts for a species’ recovery. The Green List will eventually become a part of the IUCN Red List, the scientists say, with the final species assessment including both the extinction risk categories as well as the four conservation metrics to help judge whether conservation actions are helping a species recover. The IUCN Red List of Threatened Species, the world’s most widely used information source on a species’ conservation status, may soon get a makeover. The Red List measures the decline in populations of plants and animals, and classifies species into groups on the basis of their extinction risk. But what if, despite years of conservation efforts, the threat category of a species doesn’t budge. Does this mean that conservation efforts have been unsuccessful? Does it mean that the species is not recovering? Scientists have now proposed a framework for a new “Green List of species to change the way we measure conservation success. The framework, published in the journal Conservation Biology, shifts the focus from trying to pull a species back from the brink of extinction, as the Red List currently does, to finding ways of helping species recover to their maximum potential. 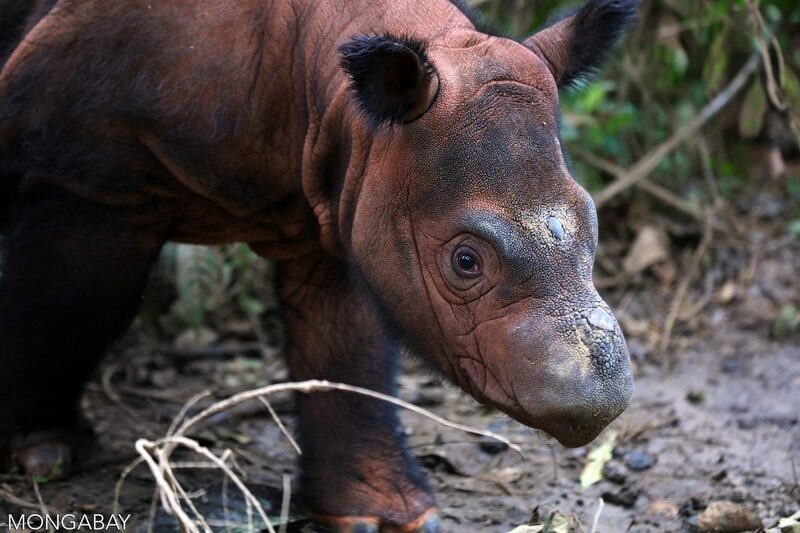 Sumatran rhino in Way Kambas, Sumatra, Indonesia. Photo by Rhett A. Butler for Mongabay.com. The framework starts by defining what a “fully recovered species” looks like. It then lays down four metrics that quantify the importance of conservation efforts for a species’ recovery: what conservation actions have achieved for the species in the past, and what those efforts can achieve in the future. The first of the four metrics, “conservation legacy,” measures the difference that past conservation actions have made to a species. It compares the current status of a species with what would have happened if existing conservation efforts, such as conservation funding or legal protections like protected areas, had not been taken to secure the species’ populations in the last 50 years. The remaining three metrics look at future conservation impacts. “Conservation dependence,” for example, measures what would happen to a species in the future if ongoing conservation actions were stopped. “Conservation gain” quantifies the improvements that conservation efforts can bring about in the future. And “recovery potential” aims to quantify the maximum plausible recovery that a species can achieve in the long term. Overall, the Green List would provide a global standard for qualifying species recovery and conservation success, the authors say. William F. Laurance, a tropical ecologist at James Cook University in Australia and member of Mongabay’s advisory board, who was not involved in drafting the framework, welcomed the idea of “identifying positive goals for species conservation.” But he cautioned that to be successful, the Green List would need to be widely used, and be effective in steering conservation priorities. 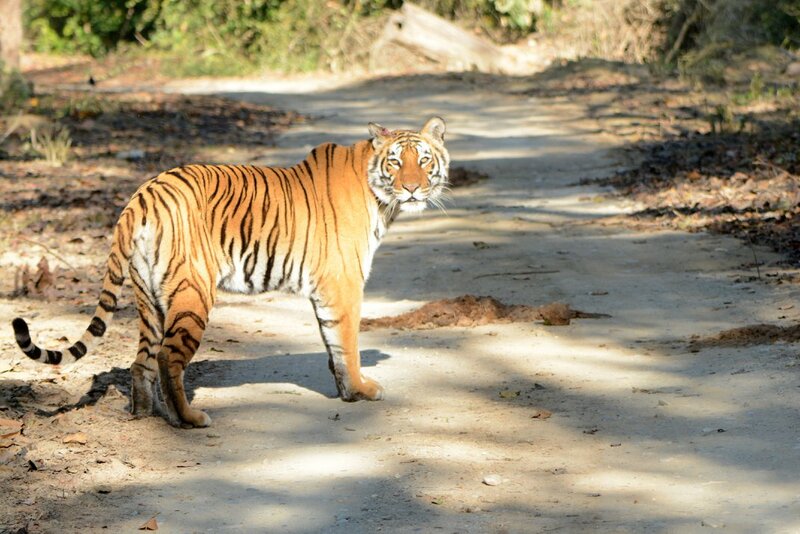 Bengal tiger in Corbett National Park, India. Photo by Udayan Dasgupta/Mongabay. The Green List will eventually become a part of the IUCN Red List, Akçakaya said. The final species assessment will include both the extinction risk categories as well as the four conservation metrics to help judge whether conservation actions are helping a species recover. But things can change, Akçakaya cautioned. The framework, in its current form, is only an initial proposal, and the authors plan to test and refine the evaluation system over the next few years based on feedback from other conservationists. The “Green List of species” is also a working title that might change in the near future. The scientists hope to launch the final product in 2020. The paper’s authors hope that the Green List will help funders and decision-makers base their policies on the impacts that conservation has had, and can have, on target species. 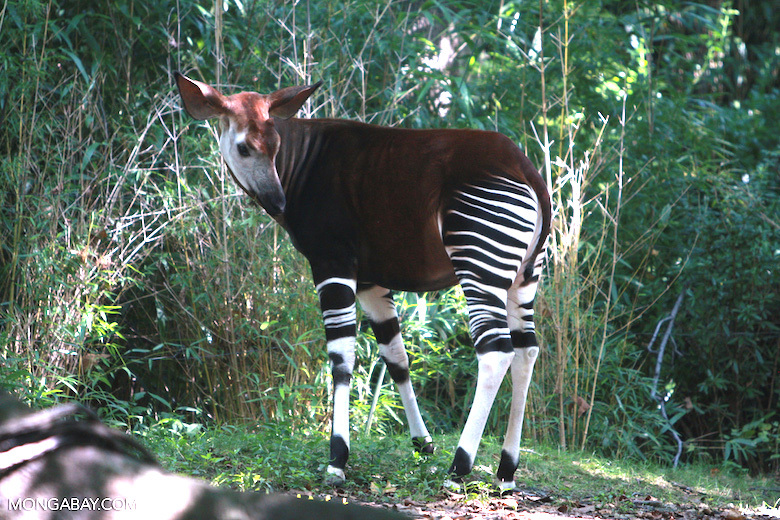 Okapis, or “forest giraffes,” were unknown to the Western world until the 20th century. They are only found in the forests of the Democratic Republic of Congo. Photo by Rhett A. Butler.